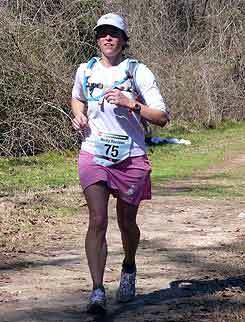 This ultra running mom interview with Tara, took place two weeks after she had run her first 100 mile ultra marathon. How do your legs feel after running 100 miles? Do they feel any different? Definitely even now, two weeks post race, they are a bit sluggish. And my muscles are still a little tight. I haven't run further than 6 miles yet but around mile two or three, my hamstrings really get tight. I have never had this problem before. I suspect the muscles got really torn up during the race and they are just still in the healing process. How long did it take you to recover from running 100 miles? I don't think I am recovered yet. But, if you want to know when it stopped hurting to walk down the stairs or get up or down from the sitting position the answer to that is approximately a week. This was by far harder to recover from than the 50 miler last year. Do you think training for 100 miles made you a faster runner for shorter distances? No way. I think it has slowed me down if anything. But, it has made marathons seem almost like 5k's used to. I just don't get too worked up about a 26 mile run since I had to do that weekly for training. Yasso 800's and some Hill Repeats. I think I decided for sure and signed up for the race in October so, that gave me four months to really hit the training. Going into the training I had a good base. I was running around 40 miles a week. Since I have intermittent help at home on the weekends I had to base my training plan around Chloe's (my 2yr old) school, nap and bedtime schedule. So I decided to do three long days back to back each week in order to make up for the fact that I wouldn't be able to do many runs over five hours. Monday was a rest day. Tuesday morning I ran 22 miles, Tuesday evening I ran 10-12 miles. Wednesday AM: 20 miles. Thursday AM: 22 miles, Thursday PM 10-12 miles. Friday Off. Saturday and Sunday around 5-10 miles. If I hit 85+ miles before Sunday then I gave myself an extra day off. I really liked the back to back long runs, it pushed me and I think it did the job. Wow! 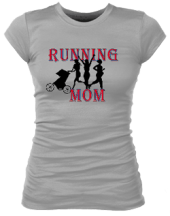 How does an ultra running mom keep from getting bored running all those hours? I listen to NPR (National Public Radio) all the time while I run, it keeps me entertained. I would think about things and I would just zone. 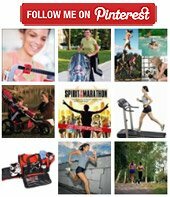 How much of this did you run outside and how much on the treadmill? Continue to page two of the interview with Tara, ultra running mom.